What is Considered Wrongful Termination in Los Angeles? On behalf of admin of JML Law, A Professional Law Corporation posted in Wrongful Termination on Friday, Sep 22 2017. Getting fired is tough. But getting fired – or wrongfully terminated – when discrimination is involved or public policy is violated is even tougher. Unless you are your own boss, you’re never immune from being terminated from a job, even when you feel like you’re the most qualified out of your co-workers. Being wrongfully terminated is like an illness that ruins your body and your life. Not to mention that you never know it’s there. But there is actually an antidote to wrongful dismissal and that is building a case to file a wrongful termination claim and win a sizable settlement. In most cases, however, you may need an experienced Los Angeles wrongful termination attorney who will be able to conclude whether or not you were discharged wrongfully. 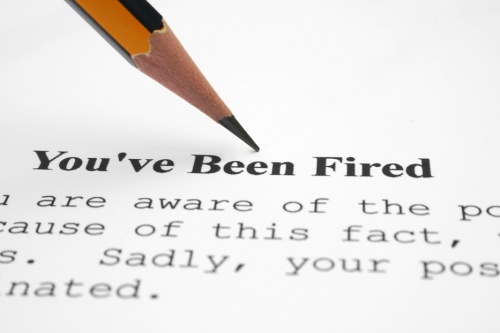 Wrongful termination statistics: Is it on your side? A 2011 study found that wrongful termination lawsuits had risen 260% in the past 20 years in California alone. It’s fair to estimate that the figure has risen. Losing a wrongful dismissal lawsuit can be quite costly, as the average cost to settle a lawsuit for a small business owner was $310,845 in 2006. It’s fair to estimate that the figure has at least doubled over the past decade. The same study also concluded that in the vast majority of wrongful termination lawsuits (67%), employees win the settlement. Terminating after employee has refused to perform illegal activities for the employer. If you believe you have been wrongfully terminated based on the above-mentioned causes, don’t hesitate to hire a Los Angeles wrongful termination attorney to put together evidence, take witness accounts and file a lawsuit case. What if you were employed ‘at will’ in Los Angeles? You have even more reasons to find a wrongful termination lawyer if you live in Los Angeles, as California is an ‘at-will’ state. If you were employed ‘at will’, it means both you and your employer agreed that neither of you would need a reason to terminate the working relationship. That’s why if you have a contract or bargaining agreement, you can significantly boost your chances of finding solid evidence to file a wrongful termination lawsuit case. If you feel like your employer may be violating anti-discrimination laws and/or is trying to retaliate against you for exposing illegal activities in the workplace, call JML Law at 818-610-8800 to speak with a Los Angeles employment law lawyer about your case. JML Law has been helping clients to maximize compensation and win wrongful discharge settlements for nearly four decades.